If you have damage to your home that is covered by your homeowners’ policy, you may think that your troubles are over. After all, the insurance company agreed to pay a reasonable sum for whatever damage was caused by your house. But you may find that the insurance company’s agreement to cover your damages is conditioned upon you using the contractor of their choice. Even if you don’t have a preference, you may not be aware of how the ability to use the insurance company’s own repair people, and not who you want to use, may harm you. Citizens Property Insurance—the so called “insurance of last resort” for Florida homeowners’—will start to lower coverage for damages unrelated to weather to $10,000 unless homeowners’ use a contractor approved by Citizens. Citizens believes that damages tend to exceed $10,000 when contractors that they have no relation to step in and start assessing damage to homeowner’s property. This comes after a 2016 policy change by Citizens that denied any claim for repairs that started 72 hours after damage occurred, unless Citizens’ contractors had a chance to look at the damage first. That policy was approved by Florida insurance regulators, and what tends to happen is that once regulators approve a change for one company, other companies follow suit with similar policies. Unfortunately most homeowners don’t consider the “right to repair” when choosing a homeowners’ policy, but terms that give an insurance company the right to choose who repairs (or even inspects) your damage can have a significant impact on how your home is repaired. 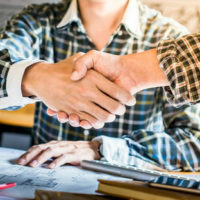 Generally, an insurance company can require that you use a contractor they choose, or at least one who is in the insurer’s “network” of providers, and can punish you with higher deductibles, lower coverage amounts, or other financial penalties if you don’t abide by these agreements. One insurance company recently filed a spate of lawsuits against its own policy holders for failing to use contractually agreed upon contractors to handle repairs. The insurance company claims that homeowners received discounts on policies in return for agreeing to have all repairs done by pre-approved contractors. Insurance companies claim that using preferred vendors keeps costs down, but many people feel that the push for insurance companies to use their own vendors creates a huge conflict of interest. For example, an insurance company may tell its vendor to use lower quality materials or a single coat of paint on walls that need repainting. It may be concerned only with getting the property serviceable, instead of exactly the way it was before the damage. Because that contractor may get hundreds of jobs from the insurance company, they are more likely to do what the insurance company says, instead of what you say. They may also only be halfway honest with you about what repairs are actually needed, looking to lower costs for the insurance company. Another issue is that many contractors that are on insurance company’s provider lists may require that a deductible be paid before work even commences on your property. If you’re having a dispute over damage to your property for any reason, you need attorneys on your side that are used to how insurance companies deal with customers. Contact the Celeste Law Firm in West Palm Beach today for a consultation about helping you with your homeowners’ insurance dispute.